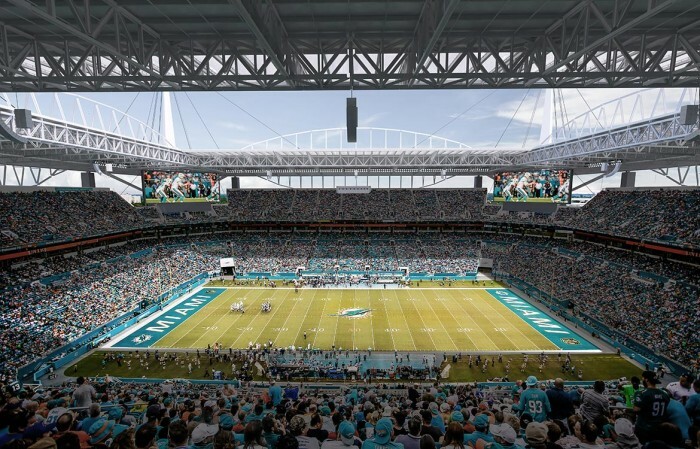 Sun Life Stadium, home to the Miami Dolphins, University of Miami and the Orange Bowl, will install a new Ephesus Lighting LED System by Eaton power management company, in time for the start of the 2016 NFL football season. By implementing an advanced light-emitting diode (LED) system with glare-control innovation technology, 75 percent less energy is required to power venue lights while enhancing illumination and the viewing experience for the thousands of fans in attendance and television audiences. The Sports Techie community blog salutes those venue operators and owners that have already made the transition to LED lighting as Sun-Life Stadium is about to experience with this tech upgrade. Eaton’s Ephesus Lighting business manufactures high-output LED lighting solutions for challenging applications in the industrial and sporting markets. Ephesus LED solutions are easy to install, virtually maintenance-free for years and offer facilities the lowest total operating costs compared to other sports lighting systems. 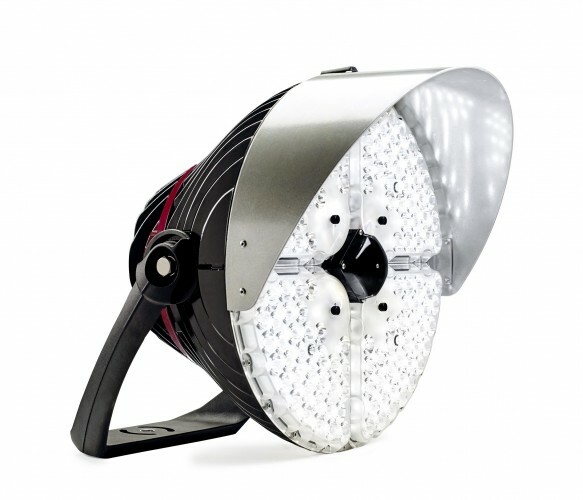 The Ephesus LED lighting system is brighter than the previous system and through its industry-leading glare-control innovations, its fixtures shine more uniformly on the sport playing surface, creating a better stage for players and fans both in the stadium and those watching on high-definition television. The new Sun Life Stadium LED system is designed with instant-on capability. This feature eliminates warm-up time needed with more traditional bulb-based lighting such as metal halide products. This new industry standard enables venues to instantly resume lighting after concerts and other non-sports events and halftime shows. 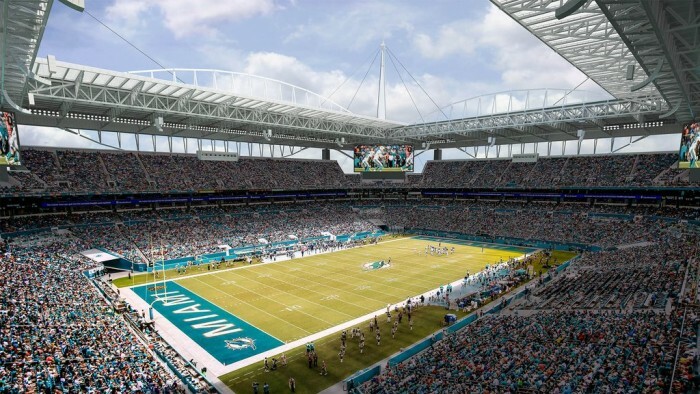 “As we researched LED lighting options in the marketplace that would help us transform Sun Life Stadium, it became evident that the digital lighting solution developed by Eaton’s Ephesus Lighting was a very competitive, well-engineered system that would meet our unique and specific needs,” said Bill Senn, Miami Dolphins senior vice president of stadium renovations. The versatility of an LED system also allows for operational flexibility and the creation of programmable light shows for fan entertainment. Since lighting the first sports venue with LED technology in North America in 2012, Eaton’s Ephesus Lighting luminaires have been operational for over 20 million hours at indoor and outdoor sports and entertainment venues across North America including: the University of Phoenix Stadium (Arizona Cardinals); U.S. Bank Stadium (Minnesota Vikings); the Canadian Tire Centre (Ottawa Senators); Bridgestone Arena (Nashville Predators); Duke University; Cornell University and many more. Eaton is positioned through its global solutions to answer today’s most critical electrical power management challenges. The business is focused on innovating advanced LED solutions that will enrich and illuminate the world, by creating brighter, more vibrant and more sustainable environments. Sun Life Stadium Implementing Ephesus LED Lighting System For Miami Dolphins, University of Miami and Orange Bowl Fans. Sports Techie, new Sun-Life Stadium LED and coaching era’s are here. A new Dolphins coach in all probability and the new U Hurricanes HC, Mark Richt, as well as their hardworking staffs, trainers and players, will only know the brighter ways of LED lighting going forward. The LED light future at the Orange Bowl is also in good hands as a result of this arrangement. Fans benefit by being able to see the action better, share sharper images across social platforms and watch on ever-improving digital screens. The upcoming NHL All-Star Game hosted by Bridgestone Arena will be played for the first time under LED lighting. The green trend is easy to see, go LED because the environment and your fans, players and sponsors will all appreciate it and so too will the bottom line. Ephesus Lighting LED System by Eaton power management company is ready to serve these needs. I hope your 2016 resolution is to save energy just like Sun Life Stadium.